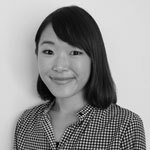 Kanako Matsuyama joined UNU-IAS in August 2016, and works as Project Administrator for the Education for Sustainable Development in Africa (ESDA) project. Prior to joining UNU, she worked for five years in a Japanese trading & investment company engaged in the energy sector. More specifically, she was in charge of LNG business and petrochemical trading operations, and lived in Doha, Qatar for one year. She is currently studying towards obtaining an MSc in Poverty Reduction: Policy and Practice from SOAS, University of London via distance learning. She holds a bachelor’s degree from International Christian University, Tokyo, with a major in International Relations.